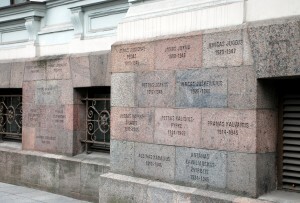 "Leading Partisans from the Rokiskis Region"
From the Museum of Genocide, Vilnius, 2008 On each brick the name of a "partisan" leader. Lithuanian Activist Front or LAF (Lithuanian: Lietuvos aktyvistu frontas) formed 1941, aided the German occupation of Lithuania. LAF's manifesto-type essay "What Are the Activists Fighting for?" states: "The Lithuanian Activist Front, by restoring the new Lithuania, is determined to carry out an immediate and fundamental purging of the Lithuanian nation and its land of Jews, parasites and monsters...[this] shall be one of the most essential preconditions for starting a new life..."
In 1944 the Nazi authorities created 20,000-strong Lithuanian Territorial Defense Force under General Povilas Plechavicius to combat Soviet partisans led by Antanas Snieckus. 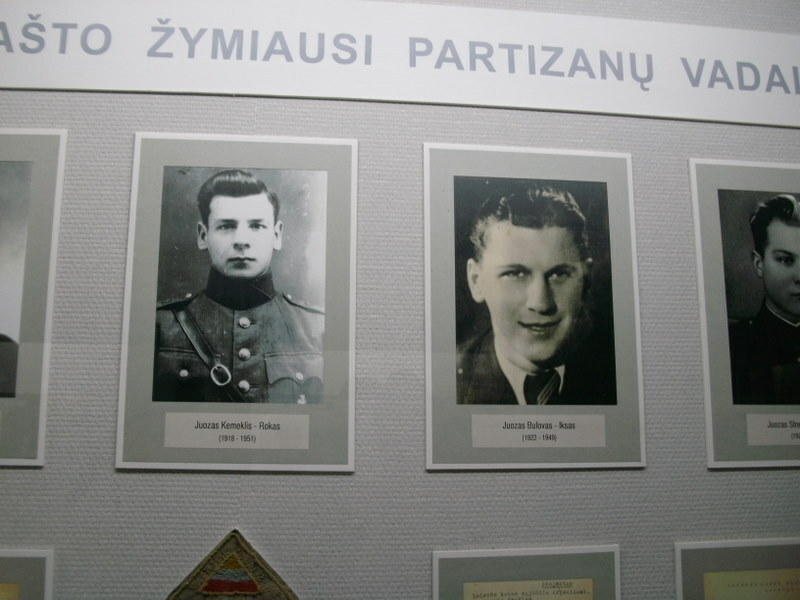 Out of the Lithuanian Territorial Defense Force arose the partisan forces which are now being celebrated as heroes. 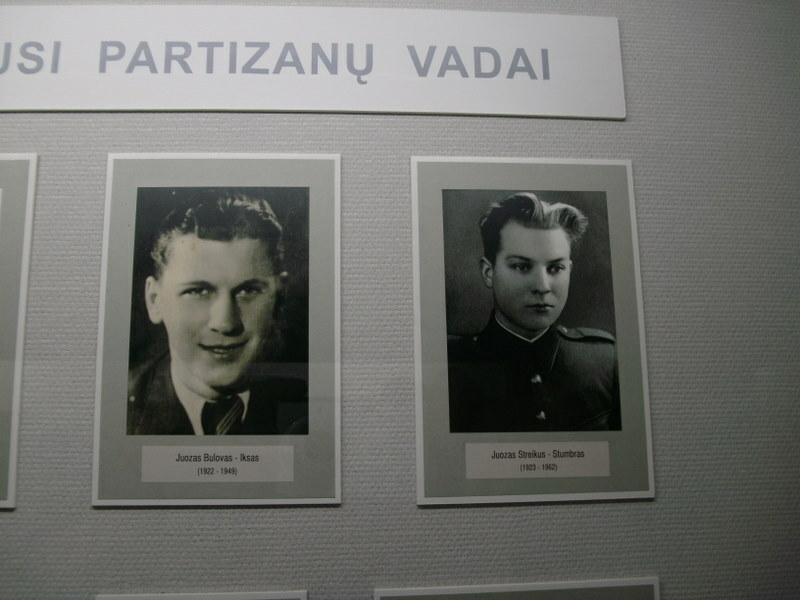 These partisan forces would not accept Jews -- few that there were by 1944 -- as members. 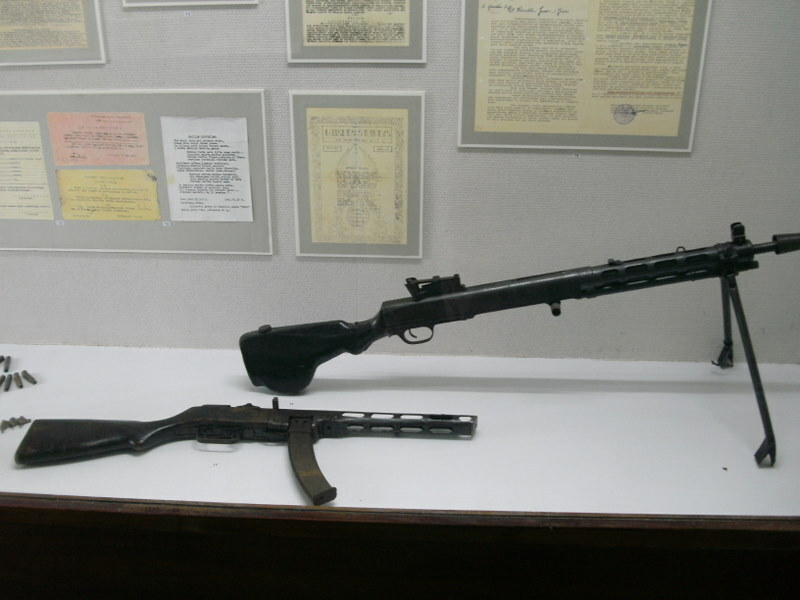 What is now the Museum of Genocide, in Vilnius, houses "interrogation rooms" of the Stalinist secret police. Indeed a palace of horrors for the victims. But on a tiny scale of horror compared to the slaughter of over 95% percent of the Jewish population of Lithuania. 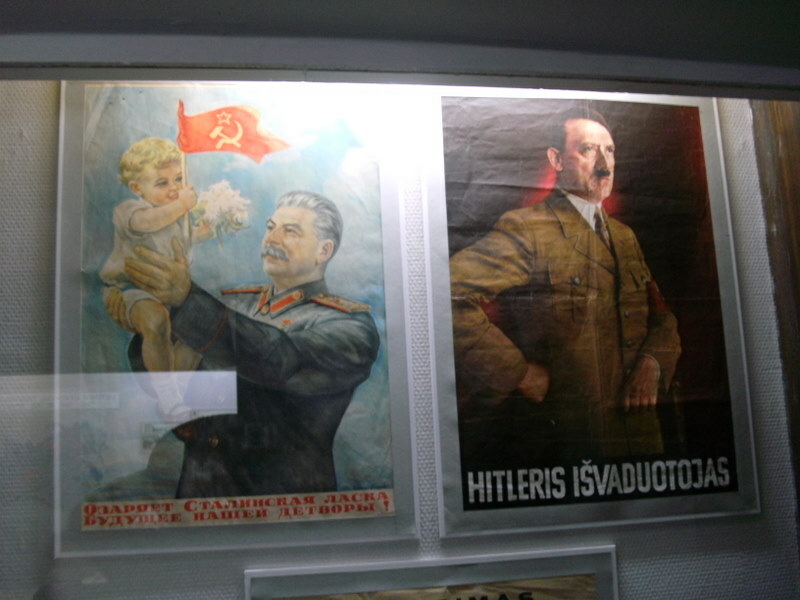 In the newly independent Lithuania, an attempt has been made to wipe out memory of the Holocauast. See this websites page on Obfuscation of the Holocaust which includes links to a podcast interview with Professor Dovid Katz. Other links at The History of Now home page. Ultimately the Germans saw the Terrorial Defense Force as a threat to their control and executed certain leaders. However the fractured group continued, fighting Soviet troops until late in the forties. 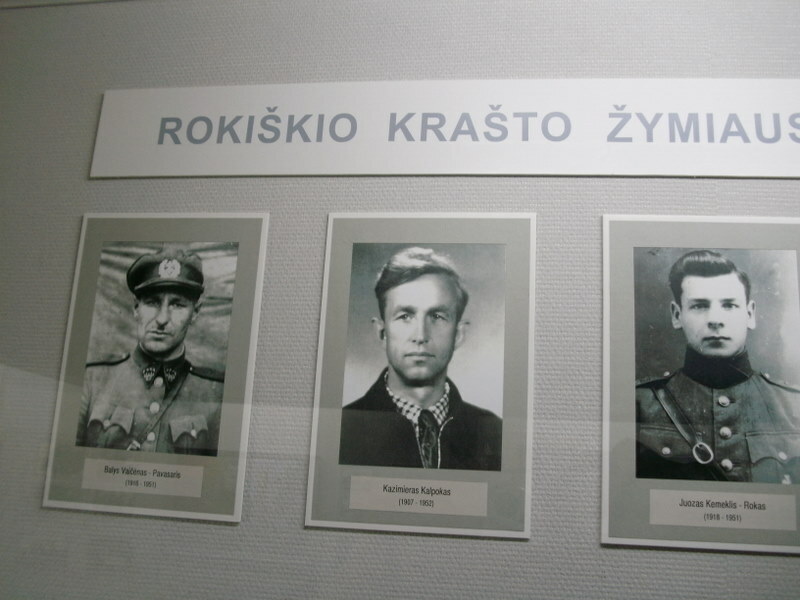 It is important to note however that on February 16, 1949 the Joint Staff of the Union of Lithuanian Freedom Fighters signed a declaration on the future of Lithuania, stating that it would "grant equal rights for every citizen, based on freedom and democratic values". It also declared that Communist party to be a criminal organization. Thus all those few Jewish survivors who joined the Soviet partisans during WW2 were declared to be criminals. 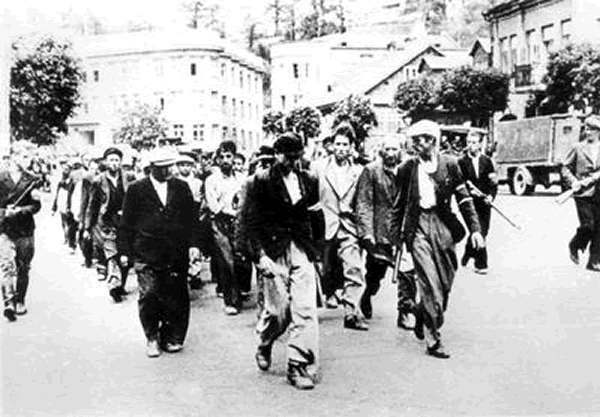 Partisans (LAF) herding Jews through Kaunas to an execution site outside. Sourced from Gutstein.net. Permission Applied for.